Photo Details: The kashmire white granite in this kitchen offers clean, sophisticated lines and a beautiful kitchen. The white granite colors blend wonderfully with the white cabinetry and brushed stainless steel hardware and appliances. 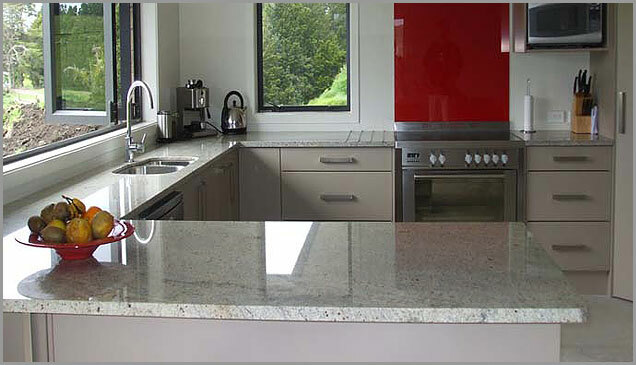 The large window allows the light to reflect off of the white granite counters, highlighting the richness of the kashmir white granite.